What causes addiction? How do people heal from addiction? Addiction happens for many reasons and not always the reason that we would assume. The ability to have a strong will or “just say no” may be challenging for some people because of a physiological reason. Addiction, for example, can happen with people because they are low in neurotransmitters like dopamine or they many have too high levels glutamine. There are many things that can cause a neurotransmitter deficiency and that can cause people to “self-medicate” with addictive substances. These addictive substances will temporarily help that person to correct their neurotransmitter balance. This is not a long-term solution, however, because the substance has other effects including making one crave and need more of it. There are many other ways to correct this neurotransmitter. One of them is through biofeedback. Biofeedback can help the person to harmonize the energies in the body and as a result can create the restoration to balance. Simply use these panels that are in the Genius in order to create that experience. You can get more of this information and the 8 Addiction panels for either your Quantum Infinity or Genius Insight right here! It is really interesting to see if the addicted brain has some specific imbalances. One of them is a frontal lobe imbalance. The frontal lobe helps you to control impulsivity and to make solid, well thought out decision. It helps you to hold your tongue when you need to! You can imagine, then, that a frontal lobe that is not functioning at 100% could contribute to experiencing addiction! Another aspect of the brain that you can test is the limbic system. This is where the emotional residue of past traumas is stored. If there are many past traumas that the individual has been unable to resolve, it is possible that every time a small stress hits the person, that the reaction within the person is very great. This could lead to anxiety or panic that only appears to get relief from alcohol or other addictive substances! Again, daily or regular balancing with the Genius or the Infinity can help to harmonize the brain, possibly leading to a more calm and relaxed state in the face of stressful experiences. You can get more of this information and the 8 Addiction panels for either your Quantum Infinity or Genius Insight right here! Addiction can happen often hand in hand with repetitive thought patterns. Thinking that you are not worthy, or believing that you are a failure or other personal messages can result in addiction. So, why not discover what the thought patterns are and use biofeedback to harmonize them? This can be a powerful panel for anyone – whether they have an addiction or not! Addictive patterns and habits can result from different nutritional deficiencies. Vitamin B12 and the whole Vitamin B complex are important vitamins for mental and emotional health. Vitamin D deficiency can contribute to depression or other mood changes. There are also herbs that can help to improve mood and brain health. These include kava kava, phosphatidylserine, magnesium and mucuna pruriens (which increases dopamine levels). You can get more of this information and the 8 Addiction panels for either your Quantum Infinity or Genius Insight right here! There are 8 addiction panels in this series. It also comes with 4 incredible classes that will help you to learn how to work with addictive patterns and how to clear them! You can get more of this information and the 8 Addiction panels for either your Quantum Infinity or Genius Insight right here! Save $$$ in supplements – and save your life! How much do you spend each week in supplements? What if I could save you that money each month? What I have learned after 15 years of being a naturopathic doctor will shock you. I do not recommend supplements. In fact, I recommend you mostly stay away from them. Today, after all of my training, I am investing my efforts in showing you how to eat properly to best protect your health and live a healthy life full of vitality. I do recommend some energetic remedies and homeopathics, but I am strongly recommending you avoid particularly multivitamins and nutritional supplementation. Why? Because if you get the food right (not that hard to do! ), you don’t need the vitamins. Also, you can’t truly make up for an inadequate diet, or the wrong foods, with vitamins. In addition, I am deeply concerned about the side effects of taking in these supplements, many of which are now produced in China, and are simply isolates separate from the true food and often synthetic in nature. Do you know the immune suppressive effects of fish oil? Are you aware that some people ended up with higher incidents of cancer from taking a beta carotene supplement? Did you read the study that revealed concerns about taking high doses of Vitamin D daily? Can any of your supplement companies tell you for sure that there are no long term side effects of creating imbalances in the body with their synthetic isolate supplements and vitamins? I will be doing more detailed teaching about the unfortunate unanticipated and unknown effects of taking supplements and the advantages of allowing many of them to go by the wayside! If you would like to know more, please join me for my 21 Day Detox program beginning on Tuesday, January 24th at 5pm Pacific. I will be sharing the very latest information I have on diet and supplementation and I believe it will both shock and empower you. Hurry, there is still a very short time left to register! Register here! Please join me for this incredible program that will give you plenty of vitality, reduce inflammation and make you excited about eating yummy delicious healthy food again! REGISTER NOW! JOIN ME FOR MY 21 DAY DETOX! A DETOX YOU WILL LOVE! Over the next couple of weeks, I will be sharing some channelled energy exercises. These are designed to help you to heal yourself (where the true healing comes from), to clear your field and raise your energy field. You can apply some of these sacred geometric constructs I will be talking about to any issue you field called to. 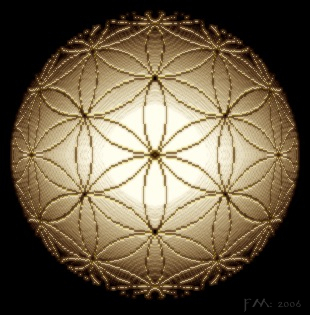 The first energy exercises uses something I saw in meditation as a vehicle for healing, which is a Flower Of Life Sphere. Basically, a 3 dimensional (or multi-dimensional….?) 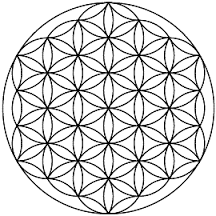 version of that sacred energy pattern. You can skip the initial personal clearing if you want to, but it will potentiate any of the exercises I will be sharing with you. I would love to hear your feedback upon doing the clearing, so please leave me a comment below! Happy balancing! 1 – Smudge your home or office or do another form of intentional clearing of your surroundings. 2 – You may want to apply an essential oil, such as myrrh, sacred frankincense or rose or another high vibrational oil. 3 – Call down your silver cord from the universe. This is your connection to the etheric world. Ask to receive your universal silver cord and feel it place itself around the area of your crown chakra. Breathe in and out deeply and relax. You may feel a perceptible life in energy. 4 – Close your eyes and visualize your 2nd chakra in your body. At the back location of the 2nd chakra on your body, imagine an energetic cord begin to flow out from your body. Does this cord have any color? Give it a color. What size is it? Give it a diameter size, small or large. Now see it begin to flow out from your body and go towards the floor. It goes through the floor, into the earth, through all the incredible layers of the earth and eventually connects with a sacred construct called the earth core crystal. 5 – Ask for the presence of your guides and Guardian Angels. 6 – Invoke and welcome the presence of Metatron. Metatron is one of the very powerful angels around us here to assist us in our evolving consciousness. 7 – For physical healing, welcome the presence of Raphael. Next, imagine it spinning to the right and above and to the right of your energy field. Feel the energy of the sphere. Now, ask the sphere to move if you would like it to move anywhere within your field and see it move. Now, imagine a color for your sphere. Here are some common high vibrational colors: emerald, magenta, violet, indigo. Keep the sphere spinning as you begin to meditate on what you want to create or clear. If this is a physical illness or physical symptoms, begin to take the sphere into the area of concern. If it is an overall illness, you can begin to run the sphere into several different places, like this. Run the sphere by imagine it can pass into the body and it will spin in the particular organ or gland for the amount of time necessary. It will stop spinning when the cycle is complete. Run the sphere in the pineal gland – the recommended color to hold in the sphere is white. Run the sphere in the thyroid – the recommended color to hold in the sphere is ruby red. Run the sphere in the adrenal (see the sphere split in two and then merge back together at the end) – the recommended color to hold in the sphere is sapphire blue. Run the sphere in the digestive/abdominal area – the recommended color to hold in the sphere is golden yellow. Run the sphere in the pancreatic area and then run it in the gallbladder area – the recommended color to hold is emerald green. Run the sphere over the DNA. A representation of the DNA is here for you to hold in your mind’s eye. The sphere is clearing the DNA mutations or errors related to the autoimmune condition. Once the sphere has been run through all the organs and glands, ask if there is any other place that the sphere needs to go. You can ask the sphere to clear an underlying infection, an inflamed gut, an emotional issue or anything else. 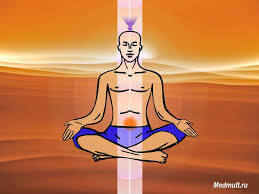 When you are complete see the sphere float to the upper part of your energy field, right above your body. Ask if it is complete. If so, allow the sphere to begin to enlarge and take up your entire body. People often experience a warm, comforting feeling like the warmth of the sun. You may want to see the sphere as an orange sphere. Now allow the sphere to get as big as the room and then as big as the earth and then allow it to dissolve. You may feel the urge to do a big exhalation like a yogi bellow’s breath exhalation. Because you are moving energy quite a bit, try lying in Savasana (corpse position) for 3-5 minutes after this energy meditation. Drink at least 8 ounces of fresh spring or other purified water within 30 minutes. After this, spend at least 5 minutes outdoors! Enjoy and observe the balance and vitality created from this process. Clear your lymphatics and feel better? And….reintroduce foods you did not think you could eat before this detox? Releasing a few extra pounds! If so, join me for my 21-Day Detox! Recipe book for your program (Delicious breakfasts, lunch and dinners. All plant-based. Green juices, green smoothies and warm broth and soup recipes perfect for winter weather). Foods to enjoy explained (plant-based, oil-free and super yum). Optimal foods to eat for the season. Custom Libraries for your Genius for your Detox! Use them each day and create an energetic AND physical detox! Heal your gut lining with ancient secrets like “kitchari” and more! Use anti-inflammatory herbs in your food guide! 3 live support and educational classes, all recorded and sent to you. Learn to why salt and fat absolutely choke your vessels, why you may have heart disease and not know it and why you MUST take steps to heal it today! Energy medicine is great for healing the body but it MUST be laid down on a firm foundation of plant-based nutrition. I will explain WHY! Do I need to take or buy supplements? No, this is mainly a food-based cleanse with the exception of some hot/cold treatments, optional castor oil treatments and optional coffee enemas (NOT required). Do I need to fast? No. You do NOT. Eat during the entire program. Is this really a detox with such delicious foods? Yes, removing sugar, added salt, processed foods and dairy can result in a powerful detox and healing of the gut, liver and lymphatics! Can I eat meat or dairy? Your program for 21 days does not include meat or dairy. Will I feel different after the cleanse? Yes! You will shine from the inside out! Do the recipes take lots of time? They are fast to prepare and there are lots of options you can pick up from your local health food store. Are the classes recorded? Yes, they are! Is there a discount if I get a friend to join me? Yes, take 10% off your cleanse? How much is it? Register before January 19th for a DISCOUNT! See below. Total for your Cleanse: $247. Save $150 before January 19th. Cleanse begins on Tuesday, January 24th at 4pm Pacific and are recorded and sent t you the very next day. Register NOW to reserve your space in the 21 Day Detox! You may have heard about a process that takes place in the body called “methylation.” Somewhere in there, you may have perceived that this is an important process that needs quite a bit of support and proper nutrition in order to maintain proper function in the body. While that is correct, exactly what is the process of methylation? Why is it important? Could it make a difference in your life to learn about it and to even do genetic testing to learn about any possible interruptions to optimal methylation in your body? It is very likely that learning more about this important and far reaching process could have a profound impact on your health and on your longevity! Does the pathway listed below fascinate you? It’s not as daunting as it looks. You CAN understand this and learn why this is such POWERFUL information! Decreased production of nitric oxide in your body, which is important for healthy circulation and cardiovascular health and Alzheimer’s prevention. Low ability to absorb or use folic acid affecting one’s ability to healthfully product hormones and mood chemicals. Join this 2 Part class and master methylation! 2 Live classes with Dr. Ariel Policano with a Q&A time as well. Invitation to get your genetics analyzed along with a separate interpretation of your SNP’s from Strategene (these reports not included but can be purchased from the respective companies and can get a brief interpretation during the 30 minute consult with Ariel). Free 30 minute consultation with Dr. Ariel. Learn at least 3 balancing sequences for your Genius to harmonize your DNA, Chromosomes, inherited changes in your DNA called SNP’s. Learn how to get your DNA analyzed and better understand your SNP’s by a very special report. Be clear about the very best form of B12 for you – Methylated B12 vs. Hydroxycobalamin vs. Cyanocobalamin and more. Class begins in Tuesday, January 24th at 4pm Pacific! Be a part of this exciting class! Be with us LIVE and have the opportunity to ask questions. Get a powerful 30 minute session with Dr. Ariel to ask ANY questions you currently have about your health! Join this 2 Part class and master methylation!